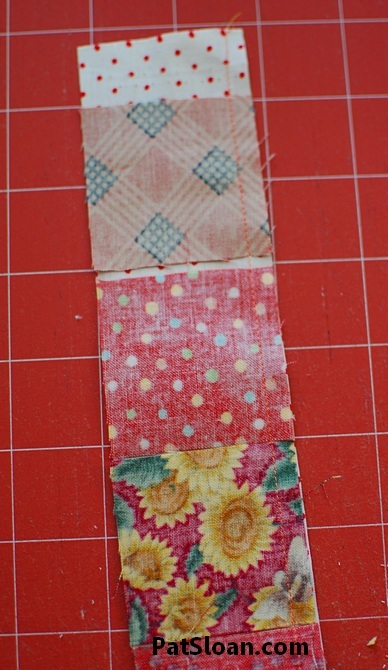 I'm excited to share with you another Scrap Happy block! This one is called Scrap Happy Star Buster for TWO reasons. 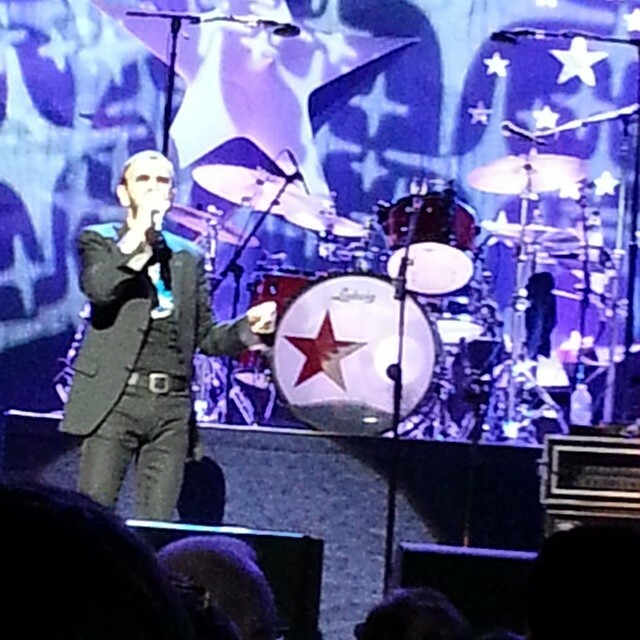 The first is that I saw Ringo Starr perform the other night.. WHAT FUN and there were LOTS of stars on that stage that night. From his 'all star' band to the drum! 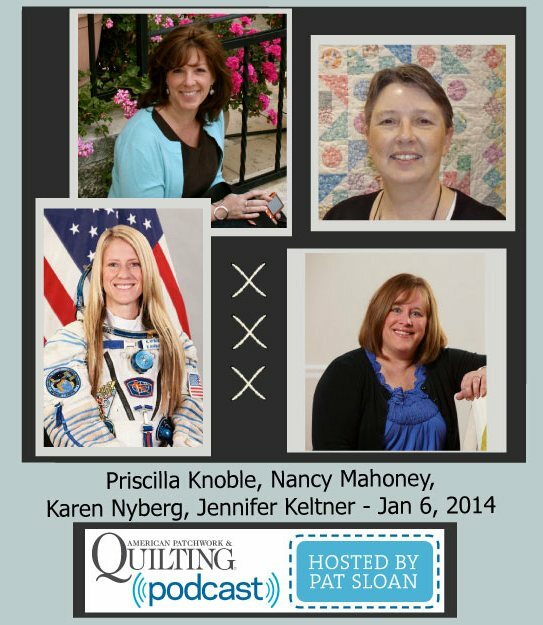 When I interviewed Astronaut Karen Nyberg about quilting in Space.. she set out a challenge to her fellow quilters. 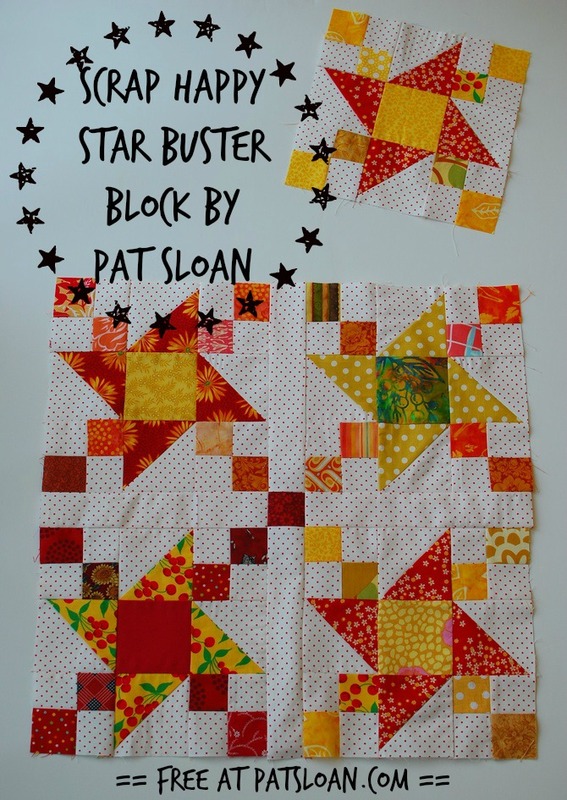 The challenge is to make a 'star' block and send it to Houston to be made into quilts! Are you up for the challenge? You can use my pattern of do your own. All the directions at at the link at the end of this post. 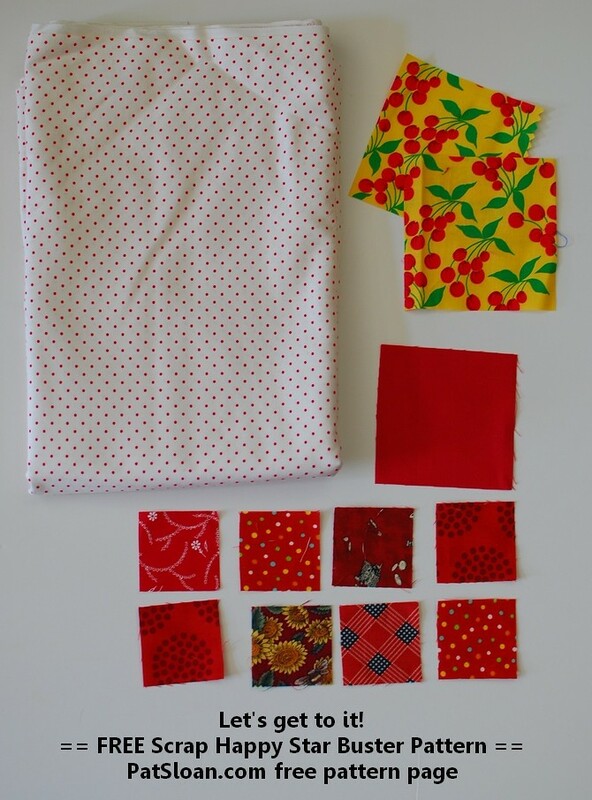 I'll need to make a TON of quilts. 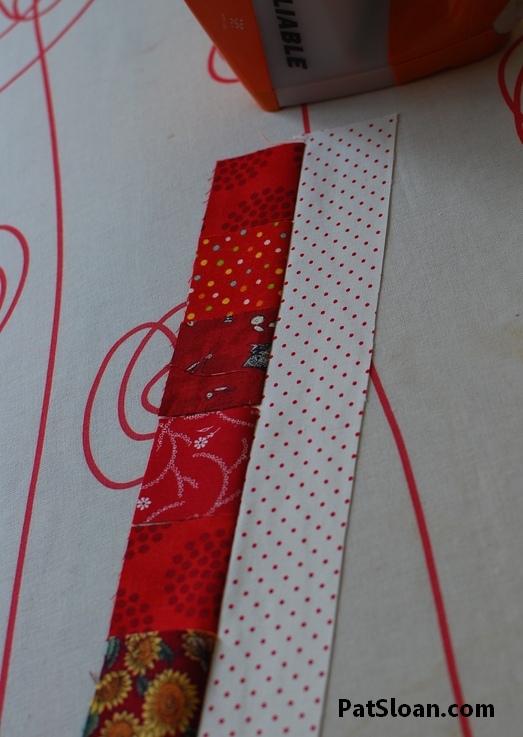 I decided to use a common background of this Moda Dottie in white with red dots. 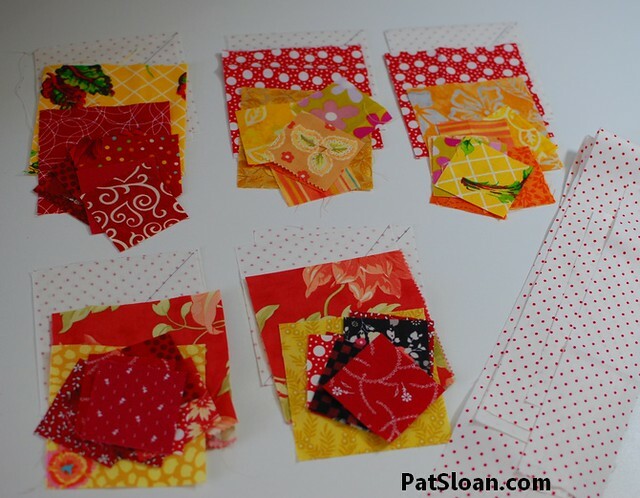 And I am only using scraps that are red, yellow, orange or peach. my 'go to' method. 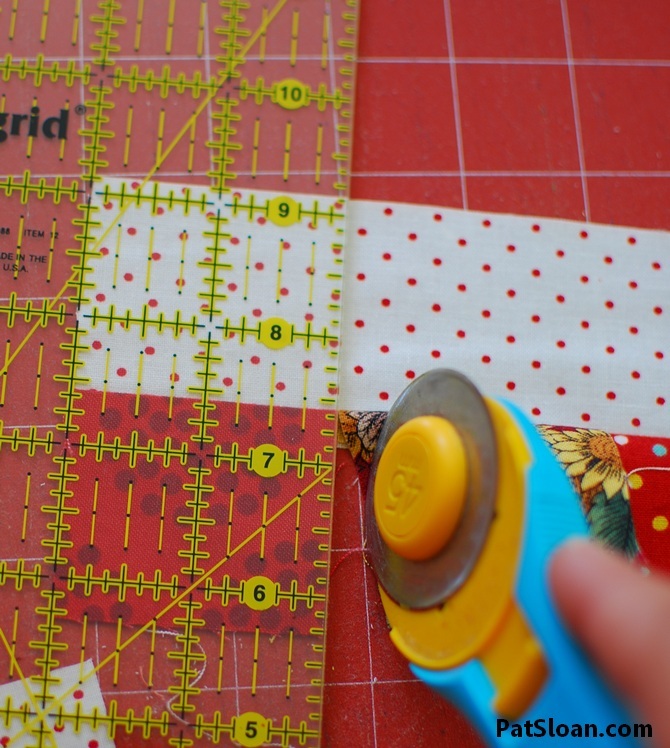 No special ruler needed, just a square! I can carefully slice them apart and many don't need any other trimming. Have you ever done it this way? 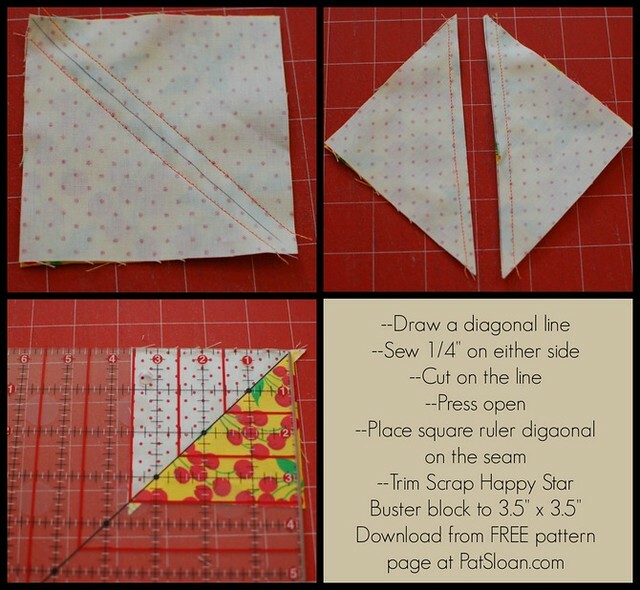 CLICK HERE to down load my pattern, a layout and supply list! And share your block in my Flickr Group HERE.. someone will win a prize! More about that in another post soon. -CLICK HERE to listen to my interview with Karen! The winner is Debi Miller! Thank you everyone for playing!